This timely, politically-charged production, written during the referendum to repeal the 8th amendment in Ireland in 2018, will tour to venues in Belfast, Derry~Londonderry, Dublin and Bray. National Theatre Wales are delighted to announce an all-island tour of Cotton Fingers, written by award-winning writer Rachel Trezise and starring Northern Irish actor, Amy Molloy. 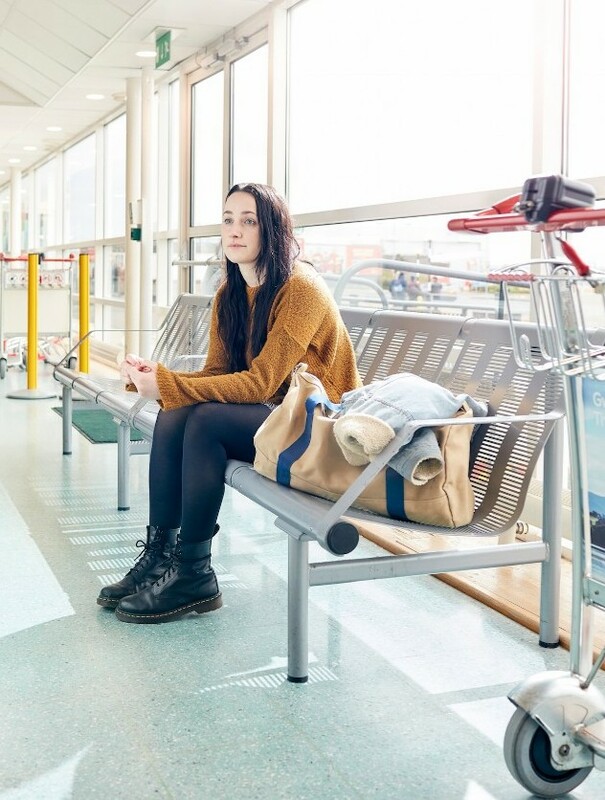 This timely, politically-charged production, written during the referendum to repeal the 8th amendment in Ireland in 2018, will tour to venues in Belfast, Derry~Londonderry, Dublin (May 29-31) and Bray from 22 May until 1 June 2019, marking one year since the historic referendum took place. 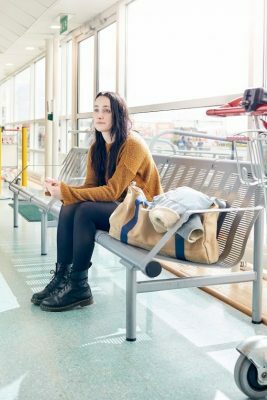 Set in Belfast, Cotton Fingers tells the story of a young woman making the journey to Wales to access free NHS abortion care. Amy Molloy will perform in this bold, one-woman show about the cycles of secrecy and the power young women hold over their futures, directed by National Theatre Wales’ Associate Director, Julia Thomas. Aoife is hungry and in need of something to do. Cillian makes a mean cheese toastie. As Aoife’s boredom and hunger are satisfied by half an hour in Cillian’s bed, her life changes forever. Smart and funny, Aoife knows there’s more out there for her. She just doesn’t know what it is yet. Cotton Fingers was originally performed in west Wales, in venues close to the port town of Fishguard, where Irish ferries dock, in July 2018. It was one of five monologues or Love Letters to the National Health Service that formed part of National Theatre Wale’s NHS70 Festival, celebrating the Service’s 70th birthday. National Theatre Wales is a multi-award-winning theatre company that has been making English-language productions in locations all over Wales, the UK, internationally and online since March 2010. This is its first time touring to the island of Ireland. Amy Molloy is a stage and screen actor from Belfast. Recent stage credits include the critically acclaimed Abbey Theatre and Royal Court production of Cyprus Avenue, starring alongside Stephen Rea in Dublin, London, Belfast and New York (2016-2019), ELIZA’s Adventures in the Uncanny Valley by Pan Pan Theatre at Dublin Theatre Festival (2018) and the UK & Irish tour of the 20th Anniversary of Enda Walsh’s breakthrough, multi-award-winning play, Disco Pigs (2015-2016). Screen credits include the hugely popular BBC TV dramas The Fall and Call the Midwife (BBC) and the critically acclaimed, Troubles-set thriller ’71 (Warp Films). Rachel Trezise is an award-winning writer, born in Rhondda in south Wales, where she still lives. She studied at Glamorgan (Wales) and Limerick (Ireland) Universities. Rachel was voted New Face of Literature (2003) by Harpers & Queen magazine. Literature credits include the Dylan Thomas Prize for Fresh Apples (2006) and the Orange Futures List for In and Out of the Goldfish Bowl (2002). Cotton Fingers is the third play produced by National Theatre Wales. Julia Thomas is an Associate Director at National Theatre Wales. She has also worked with Curve, Leicester, the National Theatre Studio in partnership with National Theatre Wales, Lincoln Center Theater New York. Recent credits include: Two by Jim Cartwright (Derby Theatre), George’s Marvellous Medicine by Roald Dahl/ David Wood and Burning Books by Jess Green (Curve) and A Clockwork Orange by Anthony Burgess (Curve/DMU). Tickets are now on sale for this timely, politically-charged show made by an exceptionally talented, female-led creative team.